A growing number of cities, schools, businesses, and everyday citizens are taking action to break the bottled water habit. Communities and institutions have developed an array of strategies to decrease public dependence on bottled water and to encourage a return to the local tap. Ready to take action in your community? 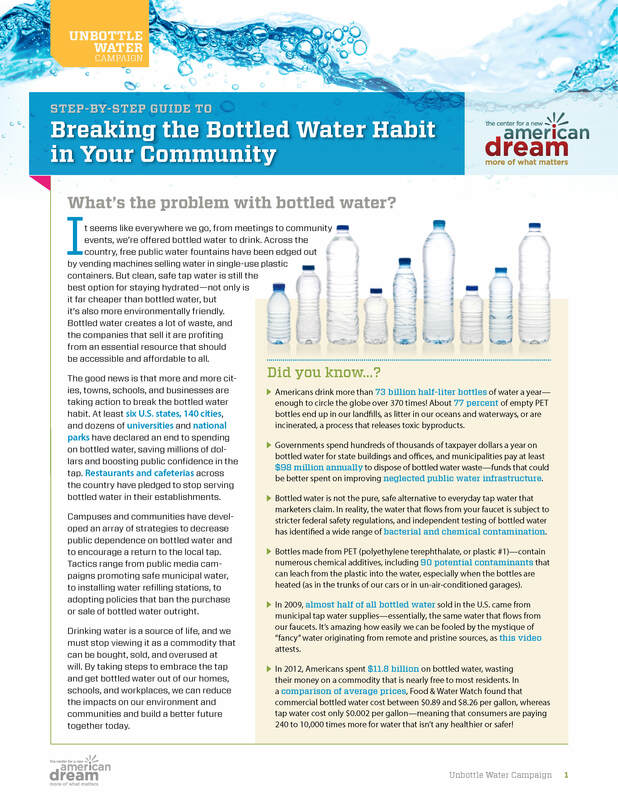 In our Step-by-Step Guide to Breaking the Bottled Water Habit in Your Community, you'll find the tips and resources you need to get a campaign started today! Available in both English and Spanish.